Sterilization, pasteurization, packaging deformation, drying, cooking, freeze drying, freezing and microwave. QLEVER software calculates sterilization, pasteurisation and cooking values and helps you validate your processes. PicoVACQ, NanoVACQ and NanoVACQ Flat families enable the measurement of temperature and pressure inside autoclaves and packagings. For autoclave monitoring, the multi logger communication interface allows you to read temperature or temperature/pressure data from 96 loggers at once. 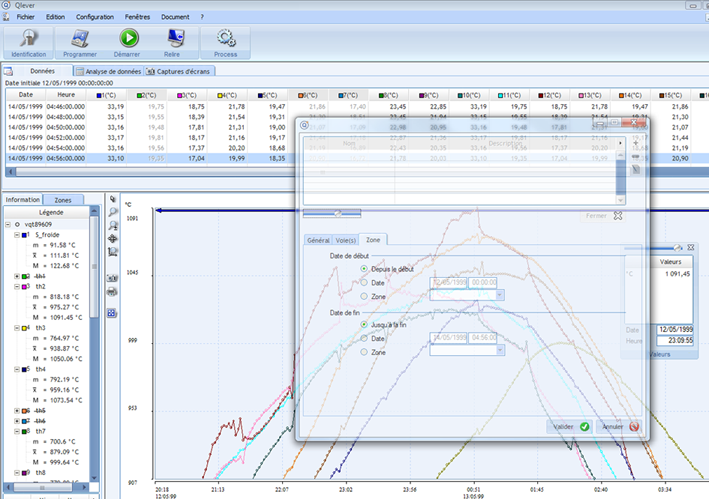 The use of NanoVACQ Radio (FM or 2.4 GHz) is highly recommended for autoclave validation and monitoring. TMI-Orion loggers (PicoVACQ and NanoVACQ families) are suitable for validating processes with temperatures up to +150°C without thermal protection. Beyond this temperature the loggers are placed in thermal shields. For specific applications of bakery and pastry, the temperature in tunnel ovens can be validated in various points with the VACQ xFlat and its thermocouples (up to 16). NanoVACQ HT and PicoVACQ HT measure the temperature and humidity parameters during drying cycles (i.e. : pasta, delicatessen, cookies...) and fermentation processes. 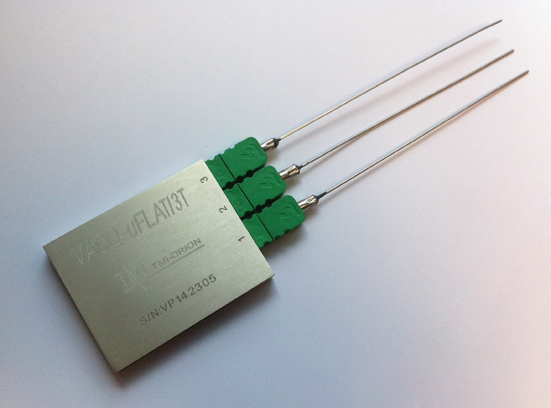 VACQ uPlat is a datalogger with 3 thermocouple channels. 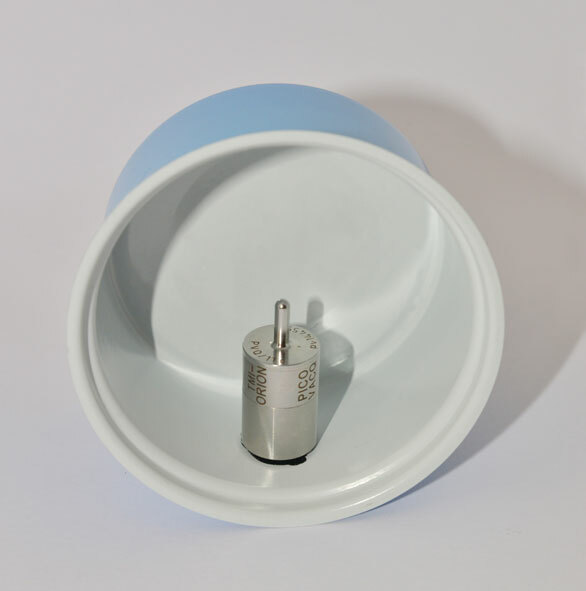 It is 7,5 mm high and can measure temperature in small clearance dry heat ovens, such as the ones used for can lid coating polymerization. With NanoVACQ PT Tc and PicoVACQ PT, you can measure the differences of pressure and temperature between the inside and the outside of your packagings and determine the counter-pressure to be applied. Thanks to its small size, PicoVACQ easily fits inside bottles through standard bottle-necks or any flexible packaging. It is designed to provide information during filling, sealing and transport. NanoVACQ records temperature down to -80°C without thermal shield. 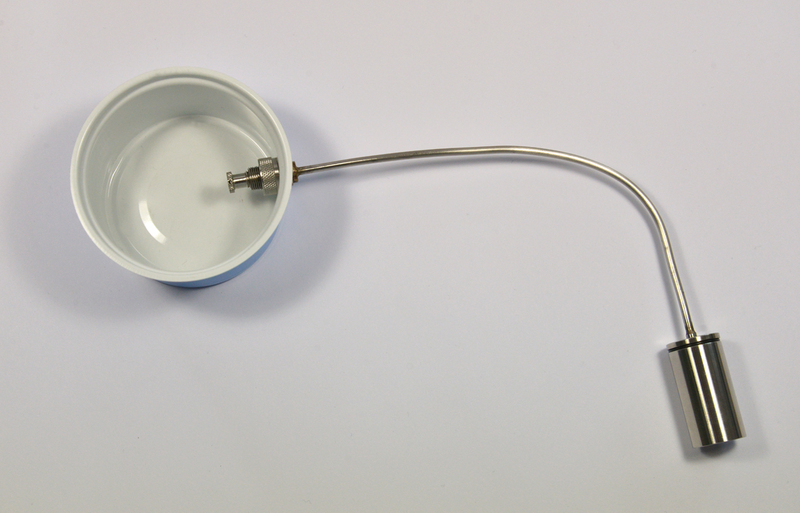 Picoµwave is specially designed to validate temperature of products inside micro-wave ovens. It can be placed in food or immersed into a liquid. NanoVACQ Deformation with its positioning kit measures the dimensional variations in boxes, pouches, trays, cans and most types of packaging during cooking or sterilization processes, for example. NanoVACQ 1Td, with a special probe, is the solution for the control of pasteurization of beer or any other drink in bottles. Weight and constraints measurement on cans during storage and transportation. Developped by TMI-Orion, allows data reading and processing. It is compatible with the radio transmission version and can be linked to a process control system. Thanks to real time capability with radio data loggers, a closed loop on your process is possible. Contact us. Need to link your measurement data to your internal network? Contact us.